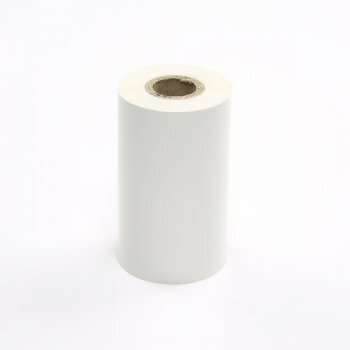 Waterproof white general purpose print ribbon for use on paper and vinyl labels and most horticultural tags such as self-ties and stick ins. Very UV stable and good fade resistance when used outside. The LabelStation print ribbons are developed to give the best possible print quality on a range of label materials. This White General Purpose ribbon is ideally suited to printing onto coloured thermal transfer labels or our range of coloured self tie tags It might sound obvious but this print will only show up on the darker colour tags !